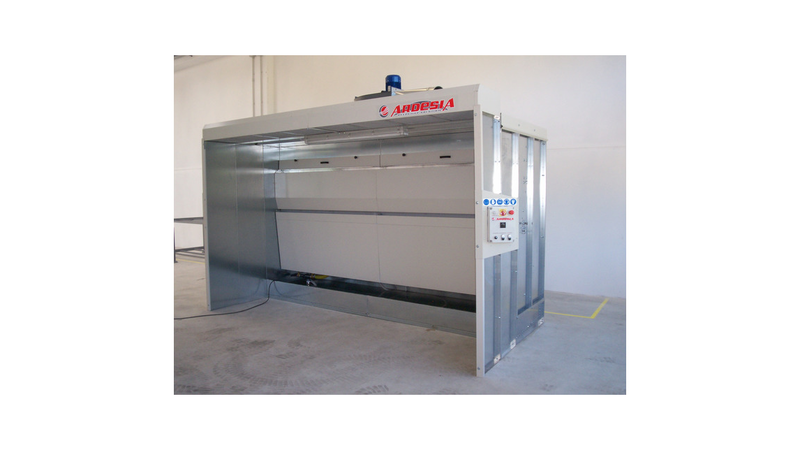 This water paint booth is suitable for suctioning and removing pigments and fumes released by spray painting performed with synthetic, organic or water-based solvents. 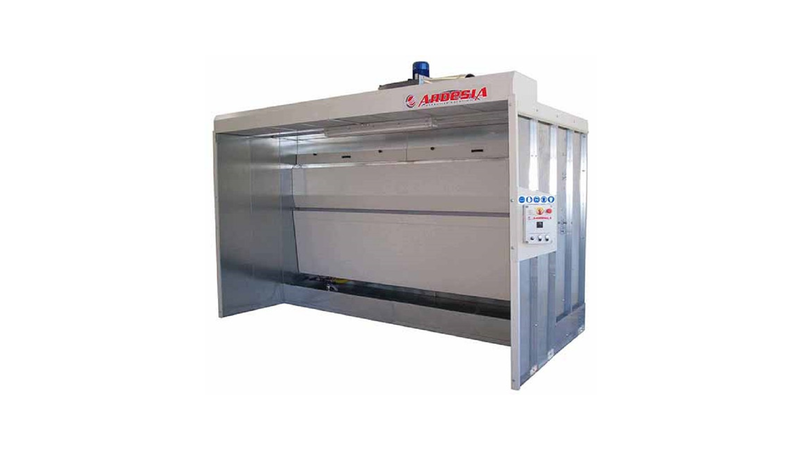 Pigments and fumes are removed using a double veil of water, nebulizers and plastic droplet separators, and air is filtered by a Paint Stop filter. This booth is made up of press-folded galvanized steel modular panels. Both veils are made of galvanized and painted steel. It is possible to open the lower veil with a gas spring to extract Filler filters for maintenance.